Primitive style choker of alakite, amber, copper. One-of-a-kind. Custom designed polymer beads of green, black and red form an intriguing pattern against this copper choker. 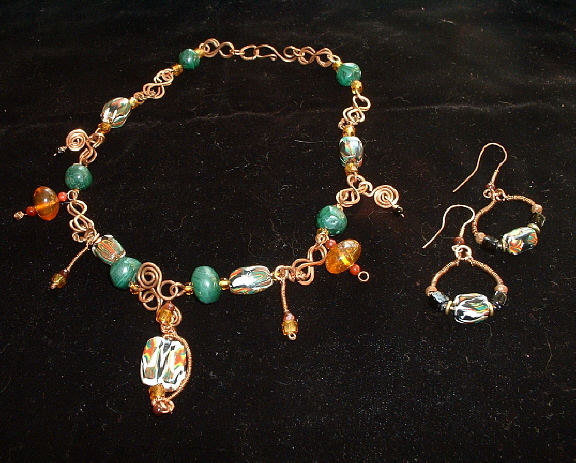 Primitive malakite stone and amber and carnelian dangles complete the ethnic look. Matching earrings available in wrapped copper. Contact Bonnie Mincu about this piece.